In the mid-1980s, sport management programs were proliferating throughout North America. Two movements were occurring simultaneously: (a) Academics from the U.S. and Canada were creating the North American Society for Sport Management (NASSM), whose purposes would be to host an annual conference and publish a scholarly journal, and (b) the National Association for Sport & Physical Education (NASPE), one of five national associations that comprised the American Alliance for Health, Physical Education, Recreation and Dance (AAHPERD*), was exploring the idea of providing curricular guidance to existing and emerging sport management programs. At the 1986 AAHPERD National Convention and Exposition in Cincinnati, NASPE and NASSM representatives discussed the possibilities. Following this meeting, NASPE appointed a task force of sport management faculty and practitioners to develop guidelines for undergraduate, master’s and doctoral programs. The NASPE Sport Management Task Force developed the original curriculum guidelines in 1986. The NASPE Board of Directors approved the guidelines in 1987. In June 1989, NASSM President Bill Sutton formed a Committee on Curriculum and Accreditation. In 1989, NASSM and NASPE agreed that there was a need to provide some level of quality assurance to students enrolling in sport management programs and to the employers hiring graduates of those programs. The organizations formally joined together in 1989 to create the NASPE-NASSM Joint Committee that would oversee the continued development of curricular guidelines for sport management. These guidelines were approved by the NASPE and NASSM members at their annual conferences in 1990. From this work came the creation in 1993 of the Sport Management Program Review Council (SMPRC), an independent entity acting on behalf of both NASSM and NASPE for the purpose of reviewing sport management programs. In July 2005, NASPE and NASSM representatives met to discuss the proposed direction of SMPRC including movement toward accreditation. 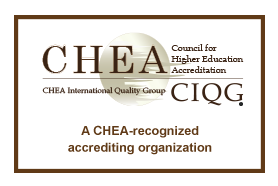 Two task forces were formed: the Accreditation Task Force and the Standards Task Force. These task forces were comprised of members from each association and were charged with investigating sport management accreditation from both a process and policy perspective, as well as a standards perspective. The Accreditation Task Force and Standards Task Force provided preliminary reports to representatives in May 2006. At the 2006 NASSM Annual Conference, a roundtable discussion was held to collect feedback from the NASSM membership regarding sport Management accreditation. The formation of the Commission on Sport Management Accreditation (COSMA) was proposed in January 2007 and draft accreditation manuals were provided to NASSM and NASPE members for review and feedback. Additional meetings were held at the 2007 NASSM and AAHPERD Annual Conferences to present the refined model. In September 2007, NASSM and NASPE identified a timeline to officially launch the COSMA organization in July 2008. *In 2014, AAHPERD officially re-branded as SHAPE America - Society of Health and Physical Educators. Susan G. Zieff , Angela Lumpkin , Claudia Guedes & Terry Eguaoje (2009) NASPE Sets the Standard, Journal of Physical Education, Recreation & Dance, 80:8, 46-49, DOI: 10.1080/07303084.2009.10598378. NASPE-NASSM Joint Task Force on Sport Management Curriculum and Accreditation (1993) Standards for Curriculum and Voluntary Accreditation of Sport Management Education Programs, Journal of Sport Management, 7, 159-170. An Abridged History of the NASPE-NASSM Sport Management Program Approval, 1986-2007. Bowling Green State University, Center for Archival Collections - find materials and meeting minutes from the early years of the SMPRC.